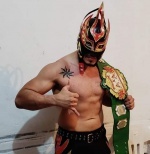 Laredo Kid is the current champion. He defeated Sammy Guevara on February 16, 2019 to win the championship. As part of AAA's continuing evolution towards a US style promotion, and as a clear nod to the WCW title of the same division, this championships was created in 2009 to serve as a crown for those not big enough to be in contention for the AAA World Heavyweight Championship. Unlike the Mexican National championships, previously used in this role, all wrestlers are eligible for this championship regardless of home country. No specific weight limit has ever been emphasized for this division. AAA held a two stage, thirteen man tournament to determine the first champion. As tends to happen in AAA tournaments, it was complicated more than most, though there was a greater emphasis on explaining the tournament. As with the previous tournament for the AAA minis championship, the final was a three way, elimination match. The title was irregularly defended over the next five years, frequently going many months without being exposed on teleivsion and often used as a way just to get a lot of midcarders onto a show. There were individual feuds teased, but singles matches were much more likely to take place on indy appearances. 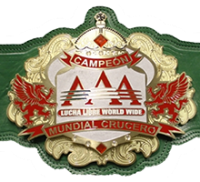 In the lead up to TripleMania XXII, AAA declared both this championship and the AAA Fusion Championship would be unified into a new AAA World Cruiserweight Championship. Despite some confusion (mostly on this wiki's part), this cruiserweight championship is considered to have an unbroken lineage - it's being treated as the same championship, just a new belt.